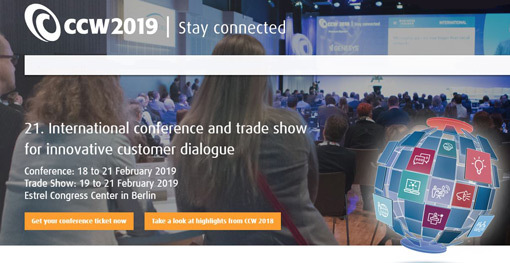 The CCW conference offers four days of high-level, future-oriented knowledge transfer on intelligent customer dialogue from 18 February – 21 February 2019. The CCW trade show offers innovative solutions for customer dialogue in the digital age over three days from 19 February – 21 February 2019. Alongside international exhibitors, experience events in all different formats throughout our three exhibition halls. Stay up to date with the largest industry conference in all of Europe.